I was notified recently by Questrade discount brokerage that they were making a number of improvements to their website and service, effective today (Feb 7, 2011). The biggest improvement is that you can now see your balances, positions and transactions in the MyQuestrade.com screen. Previously you had to log into the Penson site to see any financial information. This was a big complaint of mine and many other investors – I’m really glad they are finally fixing it. You still need a separate login to access the trading webpage, so perhaps removing that extra login could be a future project. Dividend purchase plan – More stocks and ETFs will be included in this program. Account setup will be streamlined – Opening multiple accounts will be much easier. Information you provide for the first new account will be used to pre-populate the application form for any subsequent new accounts. New account numbers – This isn’t an improvement (unless you had an unlucky account number), but it’s important to be aware of this. If you use a bill pay function to fund your account, they will have to be modified to reflect the correct account number. Read my Questrade discount brokerage review. Thanks goodness! The overhead to use this great service (great as in cheap trades) was a total PITA. Creating a non-registered, RRSP and TFSA account took many hours over many days – weeks even! I really hope I can have a single log in for the trader as well. I am tired of having to search out account names and try to remember which account name coincides with which account. Thanks for the update on Questrade. What exactly is the new addition of “Dividend purchase plan”? How does this differ from a regular DRIP? @SPF – I agree. Big improvement. @Stephen – The dividend purchase plan was there before. I think the difference is that they have a “synthetic” drip. This means that only whole shares will be purchased with the dividends. The remainder will go to cash. A traditional DRIP will purchase whole and partial shares, so that the entire dividend gets reinvested. I believe the main change they are making today is that more stocks are getting added to the eligible list. I have yet to see the improvements…mainly because MyQuestrade.com times out before I even get a chance to log in. I’ve tried FF/IE at home and at work…no dice. I sent an email to customer support…they left a voicemail at home…I call the number and keep getting the agent’s voicemail. Thanks Mike for the response. Have you experienced any of the bugs that are there now? Last week i wanted to test their system so I withdrew a small amount from my account. Everything went fine just a longer than usual delay for the EFT to process. So today I withdrew a larger amount but it got cancelled by them because they didnt have my banking information on file! That doesn’t make sense since I successfully withdrew funds last week. I contacted customer support and their replies don’t really resolve the issue. The new system is buggy. Questrade has been driving me nuts since the so-called “upgrades”. At about the same time as these changes were going on, I had also chosen to transfer in-kind a large RRSP account of mutual funds from another broker to my Questrade RRSP acount and open a Questrade TFSA . The plan for funding the new TFSA was to sell off some of the mutual funds in the RRSP. 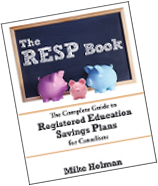 Questrade cannot move money directly from the RRSP to the TFSA, so I have to deregister and withdraw the funds to my outside bank account, then redeposit those funds to the TFSA. Which is OK in itself, except I can’t get an accurate accounting of any of these steps using any of the Questrade reports in either MyQuestrade or the trading platform. I’m about to jump on the Penson site and hopefully get my detailed reports there. I can attest that (a) Questrade’s customer service has gone right dow the toilet in the last several weeks, (b) their so-called “upgrades” have left things completely unstable, unreliable and buggy. I am now seriously investigating other online brokers. What I need is a RRSP and a TFSA for CAD and USD equities and options. @Brad – I doubt very many (if any) financial institutions will support a direct transfer from an RRSP account to a TFSA. I’ve heard some reports of slow customer service since the upgrade. Hopefully it will improve soon. I went into their site this morning to intiate an RRSP transfer from another broker and didn’t have any problems at all. @Mike, yes you’re right about the direct transfer from RRSP to TFSA-I didn’t mean to imply that was a Questrade issue. However, it’s one more step in an end-to-end transaction for which I’m having trouble getting a good accounting from Questrade. The info is scattered between MyQuestrade, QuestraderWeb and Penson and the reports are buggy and incomplete. *Initiating* transfers (and other things) is very easy and smooth; Kudos to Questrade on that score. I have been with Questrade since 2008. However, this month alone I opened an RRSP, two TFSAs, initiated two in-kind transfers of stock and mutual funds from another broker, deregistered/withdrew funds from an RRSP and requested two accounts to be linked to a trading platform. Yes, initiating things is very easy and smooth; however, getting them completed in a timely fashion, with consistent and complete status and reports, has been an issue since the “upgrades”. The Questrade blog has a long list of known issues, workarounds and “we’re working on it” reports. I also started working with mutual funds at Questrade for the first time and there have been issues there too. E.g. the online mutual fund sell interface is broken, the trading confirmations don’t report the fees and commissions (at least I have been unable to find where this is reported), QuestraderWeb doesn’t report profit/loss correctly, etc. I will say that I have very few complaints on the equities side. Customer service has also tanked badly since the “upgrades”. I can guess what’s going on internally–the upgrade was not well-tested or executed, they have introduced a ton of bugs, they’re understaffed and everyone is going crazy trying to patch/catch up. Hence, the “duck and weave” customer service style of late. The question is will it get better…soon? @Brad – I hope they get things fixed soon. I can handle a system upgrade gone wrong – I’ve been involved in a few of those. What I can’t understand is why they scheduled it for February, which is probably one of the busiest times of the year.